Remember that there is a dress code for this tour: shoulders and knees must be covered. We cannot be held responsible for entry denied due to improper dress. Comfortable shoes are recommended. 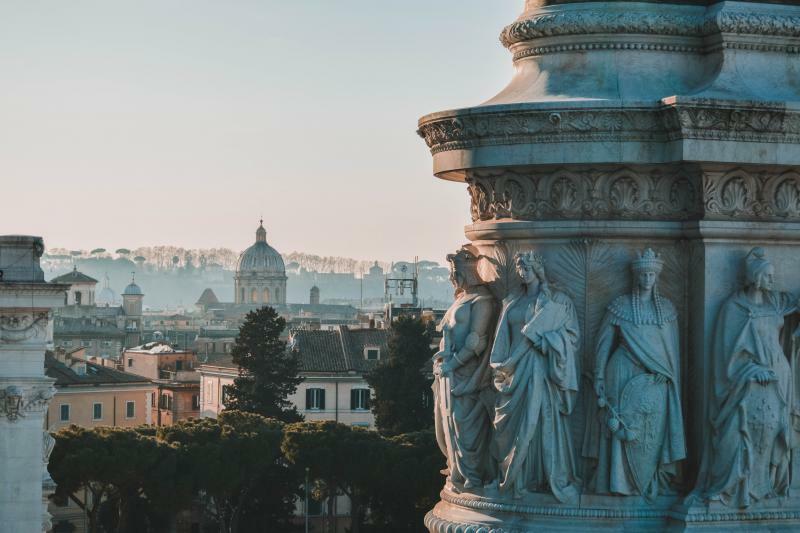 The first stop is Esquiline Hill where our guide will show you some of the treasures inside the Basilica of Santa Maria Maggiore, before continuing by coach to see the Holy Staircase and the Lateran Palace. Visit the Basilica of San Giovanni, the cathedral of Rome (inside visit). Then proceed along the Ancient Appian Way, passing the Chapel of “Domine Quo Vadis” before arriving at the Catacombs, the ancient underground cemeteries and first hiding places of the Christians. A visit to either the Catacombs of San Callisto, Santa Domitilla or San Sebastiano is included, depending on seasonal conditions. The tour will end with a view of the Baths of Emperor Caracalla. End of the tour and return by bus to the main central points of the city (Via Veneto, Piazza Barberini, Piazza Venezia, Piazza della Repubblica and Termini Rail Station).